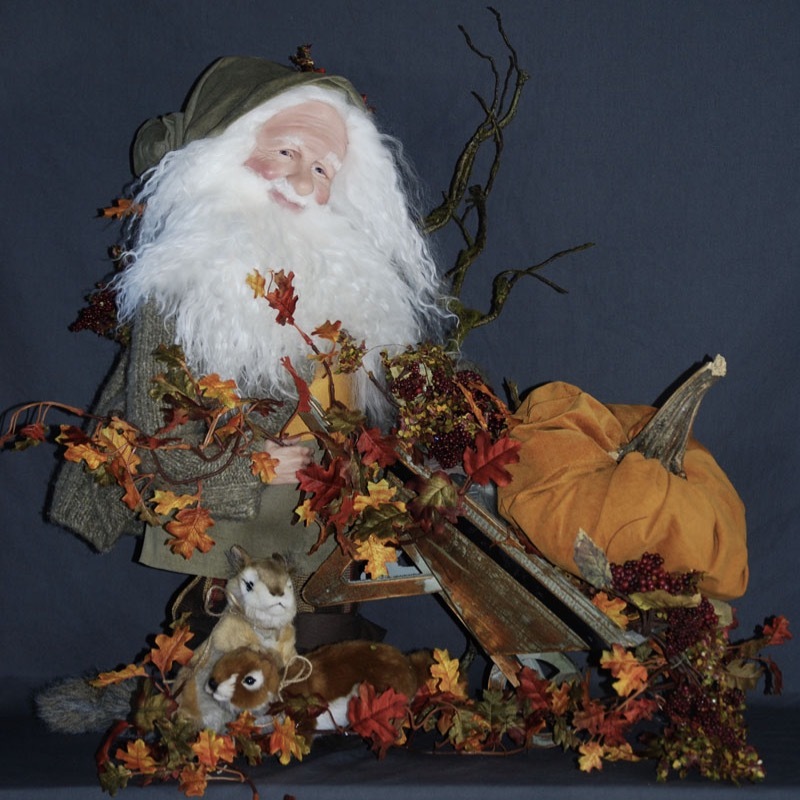 So Thankful is an autumn seasonal Santa dressed in a beautiful sage green suede vest and hat and brown knit sweater. 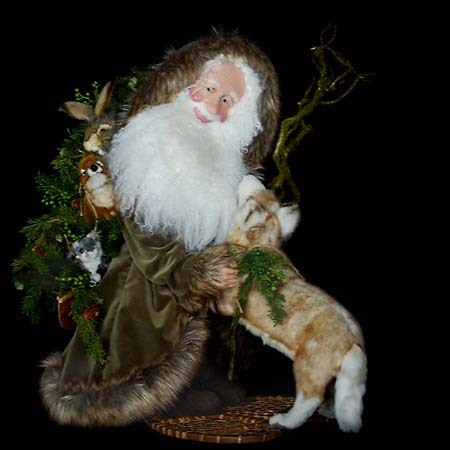 This 26-inch Santa is accompanied by a delightful small squirrel and chipmunk. He is pushing a cart with a giant pumpkin handmade from curry colored suede. 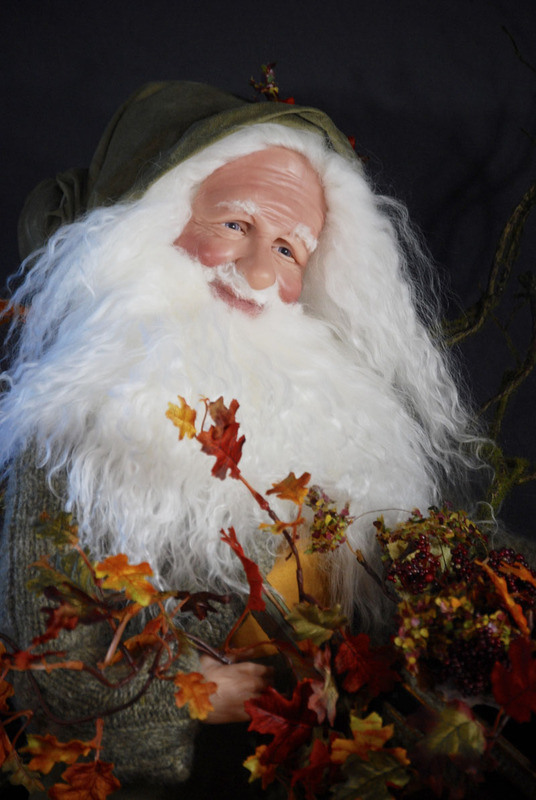 He holds a moss covered branch in one hand and the entire piece is adorned with miniature autumn leaves and berries. 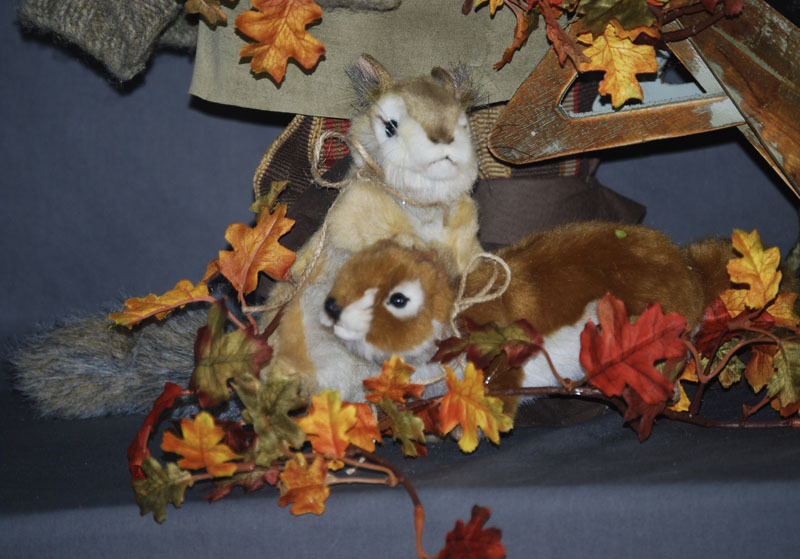 So Thankful will decorate your home for fall. 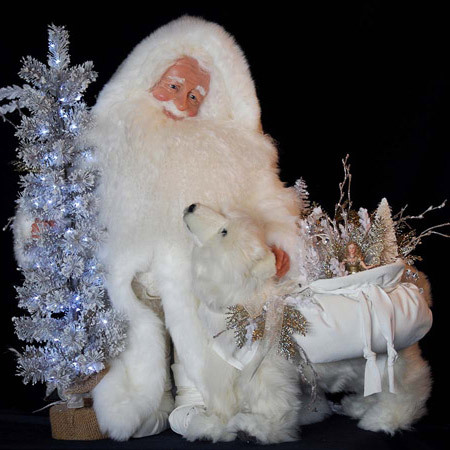 He has a soft Tibetan wool beard and a hand sculpted face of polymer clay. 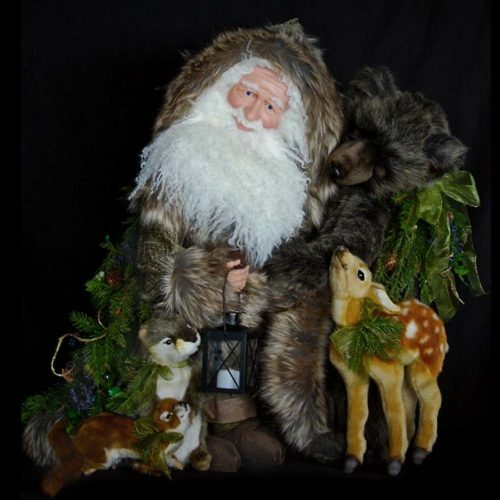 If you are looking for an Autumn seasonal Santa or just an unusual piece for a Santa collector, So Thankful is truly a one of a kind.